Okie, So fill up a big pot with hot water and get it on the stove. Give it a big bite of salt. 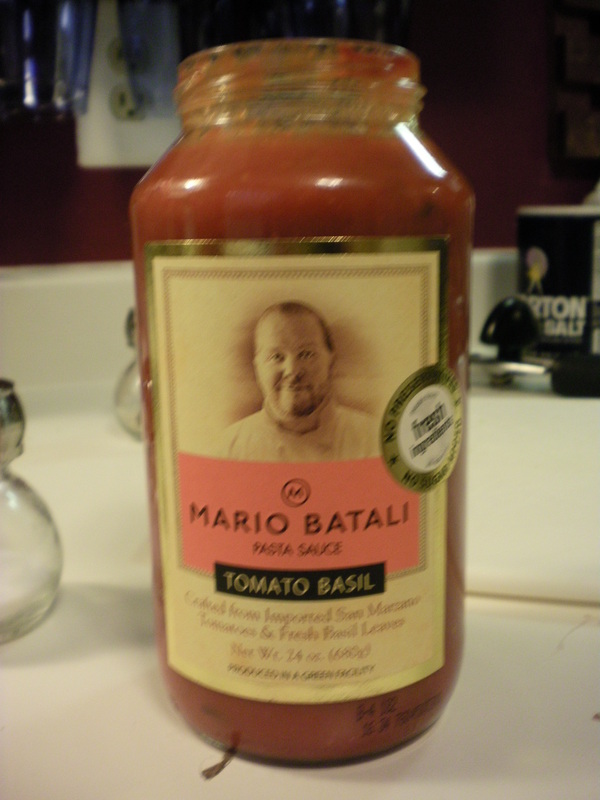 You want your pasta water to be salty like the ocean. Cook the noodles of your choice until they are al dente and set them aside in the hot pot with a lid on it. I always season my noodles with a drizzle of olive oil and some pepper. 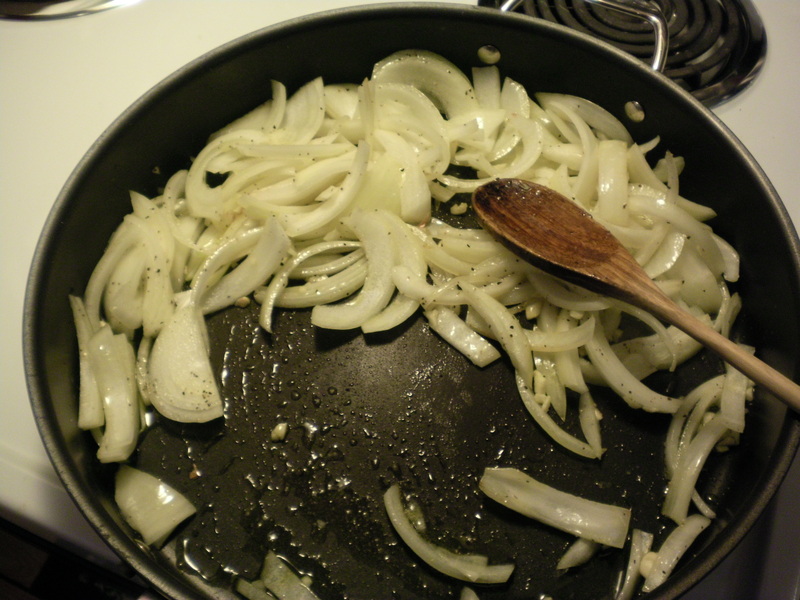 While that’s heating up, go ahead and put some heat under a large skillet and coat the bottom of the pan with olive oil. Get your onions and garlic in there and salt and pepper ’em up. Once those are happy, open the can of olives and drain them. Add those to the mix. 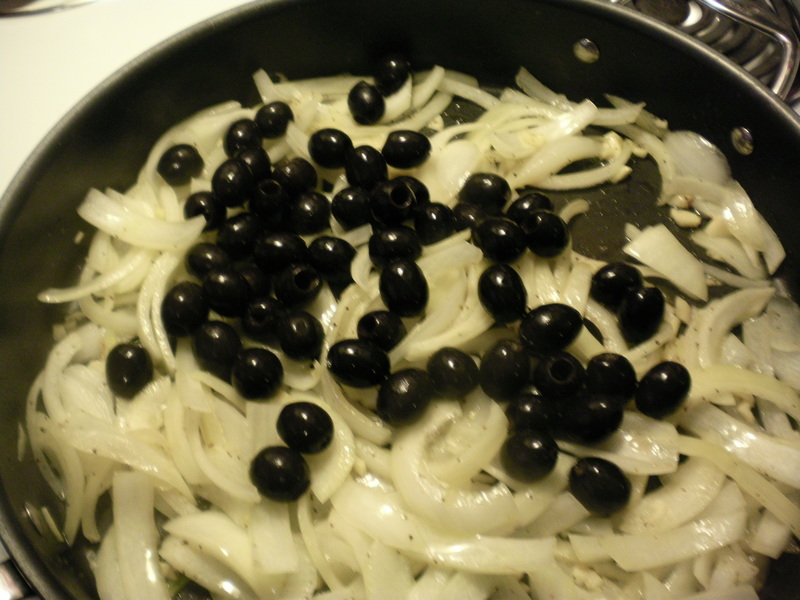 Sometimes I chop the olives before I add them in but I didn’t feel like doing the extra step. Sometimes it’s like that ya know? The quicker it all gets in the pan, the quicker I can eat it. Next just go ahead and dump the whole jar of sauce in there. It’s so liberating to just turn it up-side down with no regard to measuring or saving a little bit for something else. We deserve it all… and it’s low calorie anyway. Sorry, did that ruin it for you? Ahem. It’s decadent and downright sinful! 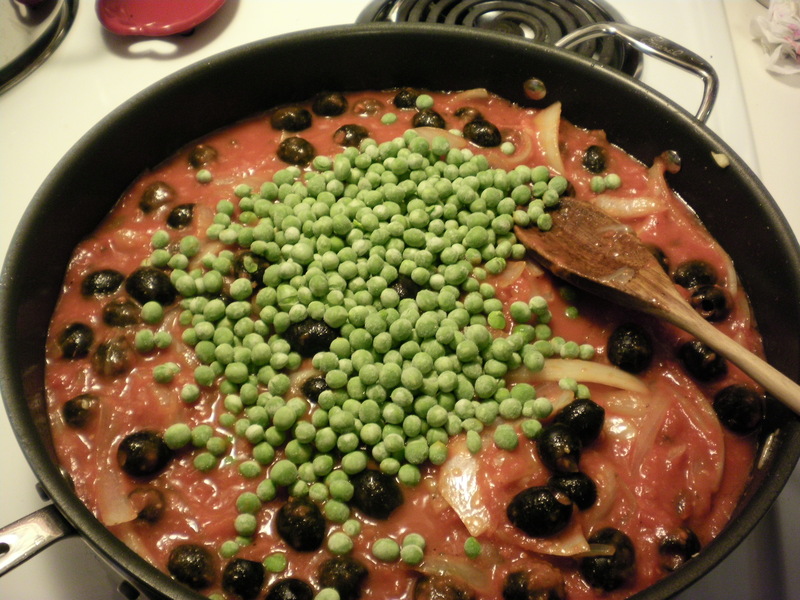 Once the sauce has heated up, add in the frozen peas. They will totally thaw out in a matter of minutes and I think they add beautiful color and flavor to this dish. 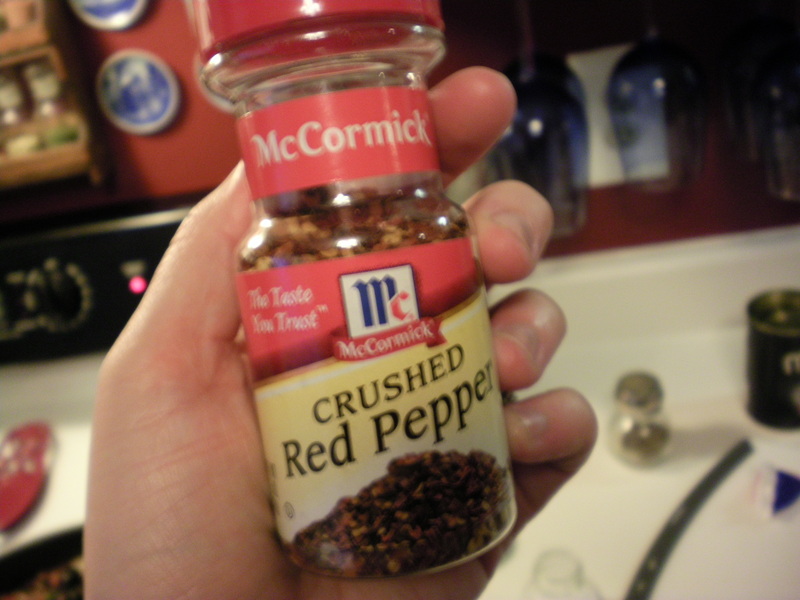 Add in red pepper flakes to taste. I probably added about a teaspoon. 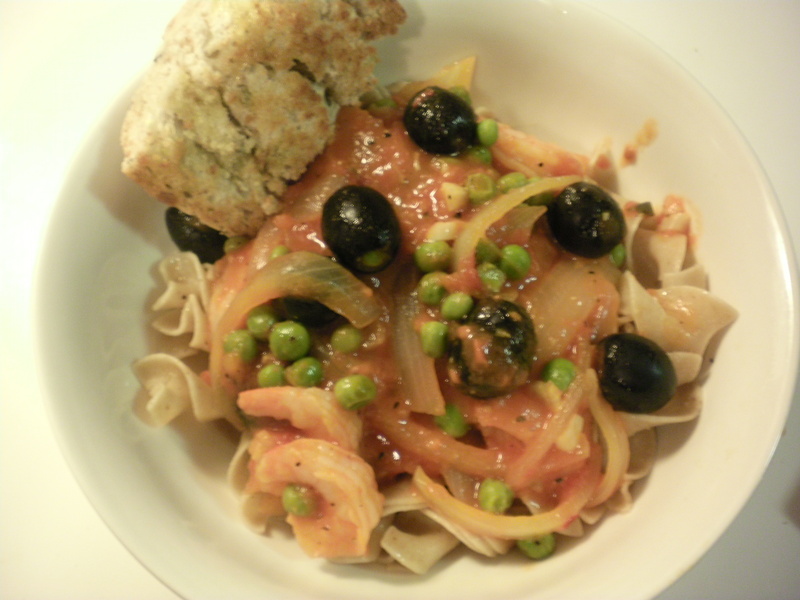 It’s nice to have that heat in the background against the sweetness of the tomato sauce and the peas. At this point you can go ahead and add the shrimp to the party. 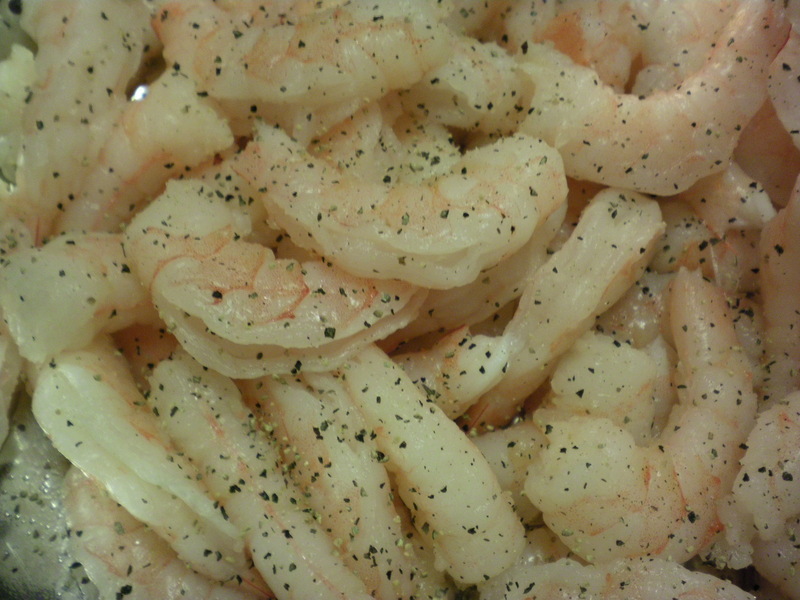 A quick suggestion would be to remove all the shrimp tails from the thawed shrimp and give them a good rinse in the colander. It’s so much nicer to just be able to eat the shrimp without worrying about the tails. When you have rinsed them, throw some salt and pepper on them. It’s really really important to season everything well so that your dish is well-rounded and you can taste all the ingredients. Add the shrimp in and get started on the garlic bread. Look how pretty this looks! Turn on the broiler and stick the bread under there until it’s browned. Take the whole peeled garlic clove and cut the top off of it. 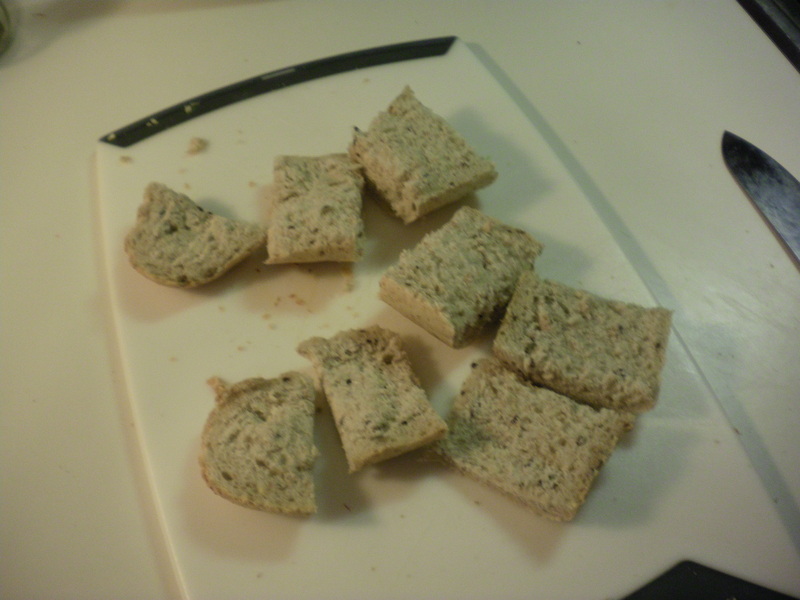 Rub the clove across the surface of the bread. The garlic will literally melt down into all the crevices in the bread and you get that fresh garlic taste. 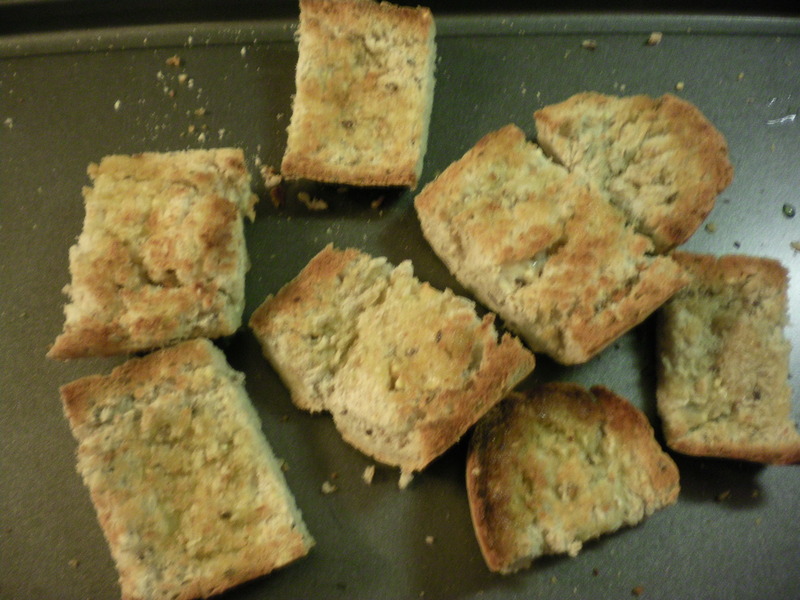 When you’ve rubbed all the bread, drizzle each slice with a little bit of olive oil. 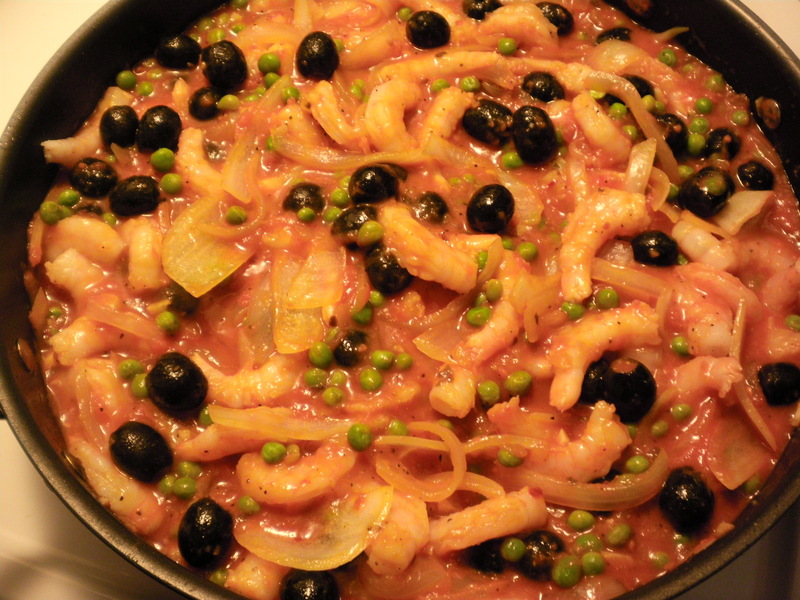 Serve the bread along side of your noodles topped with that shrimptastic sauce…. This is all ready in under half an hour and you can keep almost all of the ingredients on hand in your pantry and your freezer. Enjoy this with the special people in your life.